LEGAZPI CITY—The Bicol Region has turned from a mere transshipment point to a manufacturing haven of illegal drugs, the top police official of the region said. In an exclusive interview with the PNA, Chief Supt. 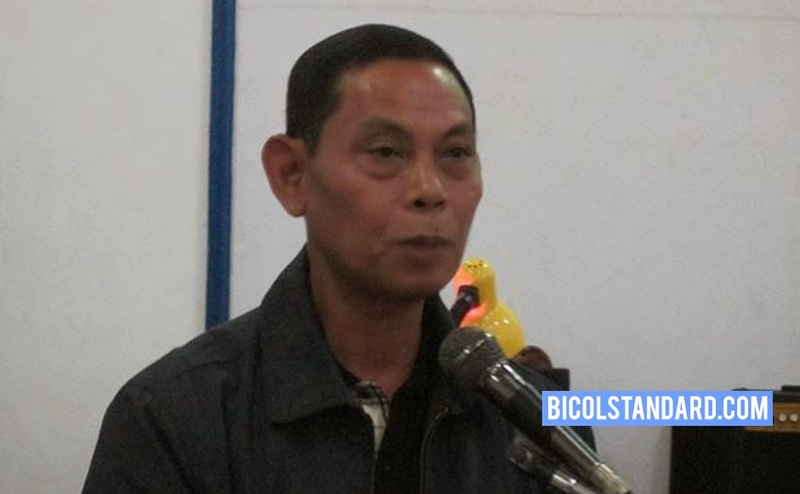 Victor P. Deona, Philippine National Police Bicol regional director, said the recent raid in Masbate City proved that illegal drug manufacturers have found their way in the region. “But we will not allow them to take root here in Bicol,” he warned. It can be recalled that on Feb. 14, joint elements of the Philippine National Police Anti-Illegal Drug Special Operation Task Force, Philippine Drug Enforcement Agency, Regional Intelligence Division-Police Regional Office-5, 5th Regional Public Safety Battalion, Masbate Provincial Public Safety Company and Masbate City Police Station conducted two simultaneous raids in Masbate City. The operations resulted in the arrest of ex-mayor Cherry Boy Abapo Jr. aka Cherry Boy Jr. of San Fernando, Masbate; Lester Seminiano Abapo aka Lester, Barangay Captain of Barangay F. Magallanes; Board Member Lovely Seminiano Abapo aka Jane Doe; Fernando Seminiamo Bravante aka Kalbo, employee, 2nd District of Masbate; Anton Dela Cruz Abella aka Payat, house boy; Isagani Arnel Vasquez Irenea aka Manoy Boy; and PO1 Aaron Vedarozaga Abapo aka Sarge, presently assigned at the Masbate PPSC's Supply Section, Masbate PPO. The police officer was not present during the raid but is now under the custody of Masbate Police Provincial Office. Another operation this week in Camarines Norte resulted in the confiscation of 274 grams of shabu, the police director added. “There will be no let-up in this campaign,” he stressed. Deona said they are intensifying the anti-drug drive which is part of the “Target Output Policy” that is being strictly implemented in all police offices region-wide. The Bicol police director said the recently busted drug laboratory was the second in the province. He also recalled that a similar illegal drug laboratory operated by foreigners was busted in Legazpi City sometime in 2008 and another one in Caramoan, Camarines Sur.